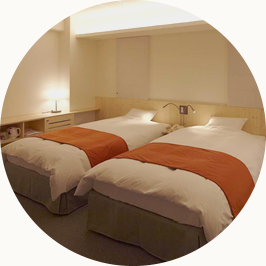 Shin-Osaka Station Hotel Honkan Near Shin-Osaka station, feeling comfortable like being home in our hotel having warm and wooden atomosphere. 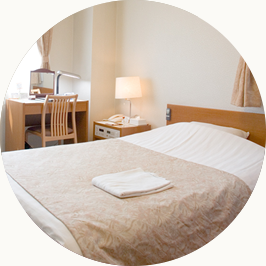 Shin-Osaka Station Hotel Annex Near Shin-Osaka station, your precious time in our clean hotel surrounded by flowers. Station Hotel Near Kishibe station. 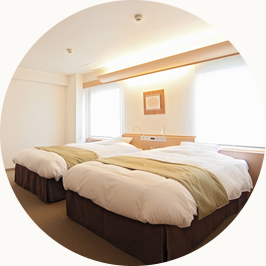 Long stay in a cozy and spacious room you’d like to come back.